What Would Mike Do? 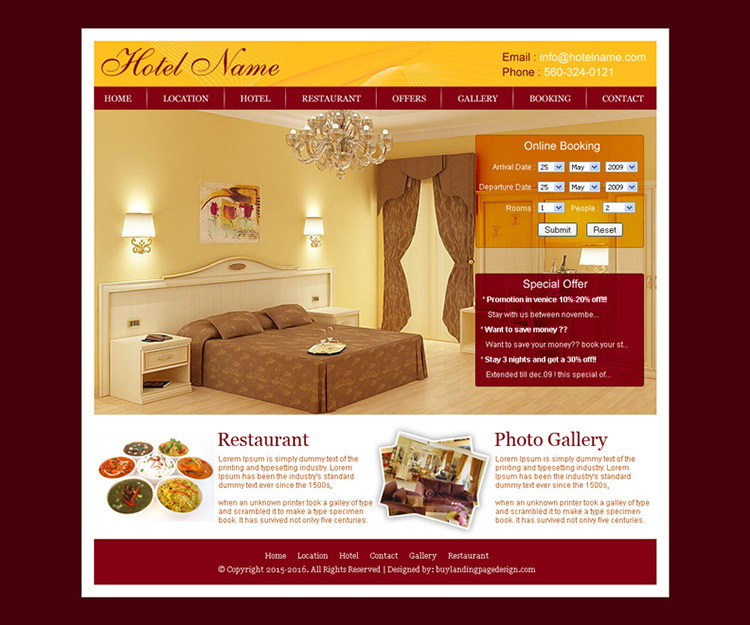 : The hotel blog: Is there a demand for a well-designed hotel website service? And I want it to work in accordance with simple rules, not exotic 'industry terminology' that only a Cornell post-grad can decipher. Book a room at the Pierre in New York City, and you get that next screen where they ask if you'd like a bouquet of flowers, or a bottle of champagne, waiting in the room when the guest arrives. Why can't any (as in, every) hotel website do that? We're going to include several Community Partners(sm) rates. Donate ten bucks to Habitat for Humanity, for example, for each night of your stay, and we'll give you twenty bucks off your rate. That little Check-Inn system I mentioned, that I've seen used mostly in cheaper, older economy hotels, will accommodate a deal like that. ChoiceAdvantage - a required purchase by one of the world's largest hotel franchising organizations - cannot or will not. This package feature needs to be smart. If you make a reservation for a week in advance, you'll be offered an opportunity to order flowers. But if your reservation is for the day before, you won't - we won't have time to set it up with the florist. If you log on to a property in Durham, N. C., one to ten weeks before the Duke-Carolina game, you're asked if you want tickets - but only for as long as we have tickets. Oh . . . and the first question on that page - if it doesn't appear on the reservation screen itself - would be 'Do you need a ride from the airport?' We could then deploy the shuttle van efficiently if we have one, or fall back on a deal we have in place with a local, reputable, taxi service if we don't. Some towns - Detroit, Newark, Camden - have a reputation (deserved or not, at various levels) -- as rusted-out, voodoo hellhole ghetto towns. But if I own a hotel in Reading, Pennsylvania - which I'd very much like to do (there is actually opportunity for hotel developers in such places) - I want Reading to look like the most attractive vacation spot in the world. This will involve some very good, high-resolution (not to mention selective subject matter) photography, and lots of attractive shots - both of the hotel and the surrounding area - on the website. I'd like to see at least some of what we call 'denial' tracking. Anytime the customer didn't book the hotel - or anytime the guest had to be told, no, we couldn't give her what she wanted . . . why? Why didn't we get the sale? Did the customer request a city in which we don't have a hotel? Where? Did he want a date on which we didn't have rooms available? Did we not have a certain room type he needed? Was the price too high? Most existing brands do this very crudely - total number of denials in a day, not much more. One of the things that drives me nuts about hotel sales and marketing types is that too much of their focus is on looking for someone or something to blame because they can't make a sale ('Rude desk clerks' are one of the biggest commodities in the blame bag: I don't even want to hear it about rude clerks until I've examined every other possible contributing factor to a problem; because while clerks are sometimes not at their best, customers, too, tend to feel the need that in order to validate a complaint, someone's got to be blamed.). But if there's a really good reason, as opposed to an excuse, I want to know. These two go together because they're so closely related. On any really good property management screen (all of which interface with a website), there are two mandatory fields, 'SOURCE' and 'TRACK'. 'Source' is the source of business, the answer to the question 'where did this guest come from?'. 'Track' is the revenue track, the answer to the question 'how did he come to our hotel?' And if she booked through the website, we'd like to know as much as we can about how she arrived at that from her Mozilla Firefox homepage. This would go a long way toward telling us what's working and what isn't in our marketing. I'd like to know as much as I can about where my customers are coming from: it's why I'm still a believer in asking guests to fill out a registration card, even though most hotels consider the reg cards obsolete -- and, with today's technology, they really should be. Why, oh why, can the name/address/city fields on a hotel reservation webpage ask for a company name? (I've stopped asking, why, oh why, don't existing chain hotel websites include this information on the booking screen when you make a reservation online.) And could we have a textarea field that asks, what brings you to our city? Neither would be a required field, but for an advance reservation, I'd be willing to knock three to five bucks off the nightly rate in return for the information. Some people don't want to be bothered without being asked. (It's why I believe in the old-fashioned registration cards: someone asked this question on a form they're asked to fill out will fill in the blank without thinking: forms are 'official'. Not so easy if we instruct the clerk to ask them when they check them in: it goes over as nosy and intrusive - some people don't want to be bothered if they are asked.) But then, some people are quite happy to share it around. IP addresses that could be cross-referenced to locations, for each visitor to our website, would also be nice. At least one notoriously bad property management system linked to a chain website has sources limited to 'corporate', 'group', 'leisure' and 'government' - with no configurability at all. Okay, the guys a business traveler. The briefcase, and the fact he was traveling alone when he checked in, was the giveaway. I know nothing more unless I ask him in person. . . 'Government' is not a source of business: government employees stay anywhere. They are not directed by the government agency by which they're employed to stay at a particular hotel. The same goes for AAA, AARP and senior citizens', which is why I don't like those discounts. It's just an entitlement: they do nothing in return for the hotel. Lots of loyalty demanded by AARP and its members, but none given by AARP and its members in return. If, out of of all the hotels in town, AAA sends all its members to my hotel, then I'll be willing to sit down with AAA and talk 'discount'. When the big chains and franchises speak of a 'source of business', that's what they're referring to. I want the real source of business. Are they hitting my website from a Facebook link? Triple up on my Facebook advertising - and watch for patterns in the pages from which they click the link so I'll know what keywords to put in my ad. Are they hitting an Expedia link on some fourteen-year-old girl's really nice website on Old Salem that she did as a school project? I want to find that kid and make friends with her before my competition does, provide her with some advertising links directly to my hotel's website for which I'll gladly pay her a travel agent commission, and make sure that she and her mom and dad have complimentary rooms if come summer they take a trip out to see Old Salem in person. If I seem throughout this response to have spoken of hotel websites, and hotel front desk property management systems, as though they are one and the same, inseparable; it's because frequently, nowadays . . . they are. When you start working on the elements for your web platform, make friends with the guys at Innsoft in Beaverton, Oregon; and at Image Technologies in Dallas, Texas (see Michael Forrest Jones' answer to What are the best property management systems for small hotels? ). Your features need to seamlessly interface with their property management systems, so you'll want to work out something with them where you'll be exchanging lots of PHP code back and forth. I'd add Micros-Opera to the list, but you'd have to have a client base of 500 or so hotels and show them some potential to drive their high-priced property management system sales before I'd expect them to have time to talk to you. They are where they are because of their success in putting in the fix with franchise organizations, who make their exorbitantly-priced system a required purchase. (Do most hotels use a specific POS system at the front desk or a larger computer system? ) I don't have time to waste on them. Their system isn't that good. Or build your own point-of-sale front desk PMX as part of your system, as ChoiceAdvantage did, and as Image Technologies is working on with their upcoming cloud version of Visual Matrix. A word to the wise: since you won't be dealing with large franchise organizations, starting out; and your system won't be part of someone's required purchase, perhaps yours should work well and be reliable. I can speak for at least one hotel manager who is fiercely loyal to things that do - and equally unforgiving of things that don't, especially when their purchase and use has been forced on me in the past. If you want to market your system to 'unchained' properties, get in touch with Stash Rewards (http://www.stashrewards.com/ ), and repeat the process by which you got in good with the makers of the better property management systems shown above. There are several lesser ones identifiable through Google search - some of which don't have hotel partners - who will gladly work with you. Or, build your own and maintain the database for it as part of your system. Nearly all of the value of any hotel brand or franchise is directly proportional to the number of people running around with that chain's loyalty cards - HHonors, Choice Privileges, Wyndham Rewards, Best Western Rewards, etc. Those are the people who are - well, loyal. When they need to call or go online to make a reservation, that hotel brand is the one they choose, either because they have a free night coming or want to pile on some more 'points' until they do. Nearly everyone else calls Expedia. Next to no one plans a trip and thinks, 'maybe I'd better call the Quality Inn 800 number', or surfs to the Days Inn website, unless they have the corresponding card. On second thought, why reserve the benefits of a loyalty program for loyalty cardholders? (Well, OK, no one will want to sign up unless they get something they can't have without one, but still . . .) Besides, I want to keep people coming back, and thinking of us first, even if they don't have that loyalty card in their pocket. Requiring that they sign up for a loyalty card program asks that they be our customer, but makes them work for it. I get a lot of input from several feedback sources re what people want in a hotel, but one of my favorite sources, believe it or not, is Quora users. (Why not? They seem to be just the sort of people I want as guests . . .) One thing that keeps turning up as something highly appreciated is that, if you come back, the hotel (or one or more of the people there) remembers you. This should occur through a quick cross-reference once a name and city are entered. It should not require additional entry of a phone number (at least by anyone other than the person filling in the blanks on a reservation page) or a loyalty card number. When I get the reservation at our desk, I should see several possible matches, including one for the returning guest if she's stayed at any of our hotels, anywhere, before. If during her last stay, she turned out to be the kind of person who likes to use the pool for a late-night swim, I can alert my night guy to be alert for that and try to accommodate her if he can. If he requested a quiet room on a high floor on his last three stays, I'll know to accommodate that without even having to ask this time around. On the other side of the coin, if - for one example - it's someone named Phelps from Topeka, Kansas, that reservation is going to receive some advance scrutiny, especially if it's one for several rooms, or if there's a military funeral in our area (http://godhatesfags.com/ ) If it's those Phelps', we'll refuse the booking: I don't need either the bad PR or the security headaches that would come with allowing them to stage pickets in the area from our hotel. If if it's a guy who, during a previous stay at a property 200 miles away, trashed the room in a manner worthy of Aerosmith, his reservation is going to be cancelled within 24 hours after we receive it, if the system takes the reservation at all. If it's someone who more than once made a guaranteed reservation, but didn't show up, and their credit card was declined when we tried to charge it, the system likewise won't take a reservation from them - or, at least, that credit card - at all. I also want company names cross-referenced, and possible matches displayed similarly. If I know who the other guests are who are with that same company, what city do they all tend to be from - and where else they travel - I can make good use of one of those skip-town-and-chill-out-for-a-few-days in some random town road trips. Or, I'll know to make a sales call to their local office, if they have one; bring over some trackable coupons, a box of our fresh-baked breakfast muffins, and negotiate a contract rate for the entire company. Your system should include a Facebook app where someone can make reservations directly from the hotel's Facebook page. Your hotel's landing pages (and there should be several, not just a one-size-fits-all 'index' page) needs a Twitter feed. A feature that could cross-match a guest who makes a reservation online and his or her Facebook page would be nice. If it's a frequent customer, we'll want to send a card - and a free upgrade - on his or her birthday. And the content on each of those landing pages on the website - one for business travelers, one for families, one for couples, one for groups - you get the idea - needs to be able to change on a moment's notice, with no more technical know-how by a manager or sales director than it takes to type up something cute in a textbox and click 'enter'. Or even better, it needs to be linked directly to an HTML 'welcome' e-mail that will automatically be sent to the guest ten minutes after he checks in, as soon as he fires up his laptop. There also needs to be a couple textareas on it . . . "Is everything all right?" . . . "Do you need anything?" . . . (Recall, if you will, that pesky phone call you're supposed to get within a half hour of checking into a Holiday Inn, Crowne Plaza, or Candlewood Suites . . .) . . .
And a day or so after they check out, they get the follow-up, thank you e-mail, with the two-line comment card (My philosophy on comment cards - even the printed ones should contain only two questions: "The thing I love about this hotel is . . .", and "If I were the manager of this hotel for a day, the first thing I would change, like, right now already, is . . ." Nanci Sherman can be a bit of a starry-eyed cheerleader at times, like most writers in hospitality industry trade mags, but she's one of the few who's occasionally good for having something to say, the two-line comment card was her invention, and it's brilliant . . . ); with the invitation to 'friend' us on Facebook, follow us on Twitter, play with us (well . . . me) on Quora, review us on TripAdvisor (unless we flag the guest ahead of time so that that particular invitation is not included with his follow-up e-mail) and bookmark our homepage for future reservations, linked . .
One of the things I like about the Image Technologies people is that they'll take a call from you and listen to you. Hold that thought when your own clients call you - that means a lot to the kind of people you'll have for customers, who rely upon you for a critical product/service for which they can't easily change suppliers. I'll be adding to this list from time to time, but I don't expect to ever complete it. You'll be listening to your clients and adding new features as you become aware of their needs, on an ongoing basis, as they arise. Each one will probably have different needs - and accommodating each will give you added experience from which you can eventually draw to address the needs of others and ultimately, the entire client base.